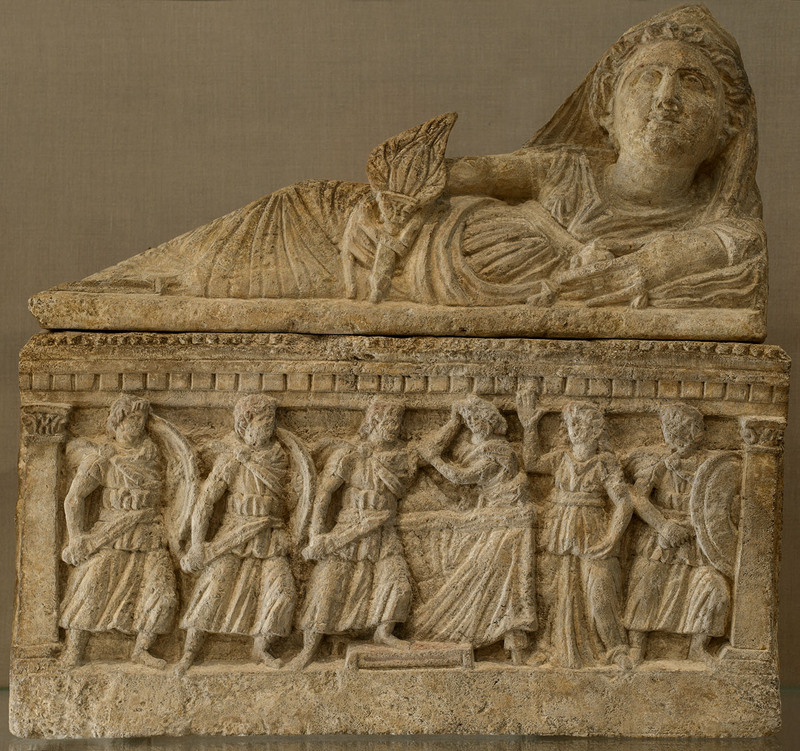 Cinerary urn with a scene of a murder of a woman. Inv. No. 96.9.224 a, b.